Slow sliding over a digital tablet PC with green screen chroma mock-up in comfy living room in the house. 4k00:13Mans point of view holding a tablet vertically with green screen on. Male hands hold a black tablet with green screen on. 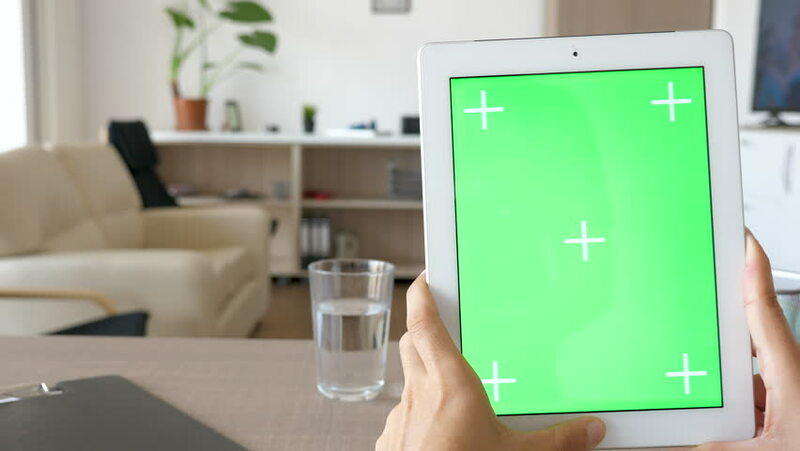 4k00:16Man hold horizontally a tablet with green screen on. Using internet to get inspiration for a new art project.